SEOUL -- South Korea's top mobile carrier, SK Telecom (SKT), and two financial companies formed a consortium to win state approval for a new internet-only bank as financial regulators eased restrictions to cultivate online and mobile banking services. Financial regulators plan to give preliminary approval to a third internet-only bank this year. A week ago, Toss, a fintech unicorn, teamed up with Shinhan Financial Group to form a consortium for the establishment of an internet-only bank. On Tuesday, Kiwoom Securities, which provides online brokerage services, partnered with SKT and Hana Financial Group, one of South Korea's largest bank holding companies, to form a consortium. Kiwoom said it would become the largest stakeholder of the consortium. "Through convergence and synergy in various fields such as securities, banking and ICT (information and communications technology), we will meet the competencies required by internet-only banking and realize new financial innovation," Kiwoom said in a statement. The three companies called for the combination of banking services with artificial intelligence, big data and ICT. Hana said the consortium would respond proactively to a rapidly changing digital and pursue the implementation of "new concept convergence technologies" through partnership with other companies. "We will maximize the benefits of our customers through innovation and synergy between different types of industries," Hana Financial Chairman Kim Jeong-tae said. In 2016, Hana and SKT launched Finnq, a joint venture aimed at nurturing fintech startups and providing mobile financial services. 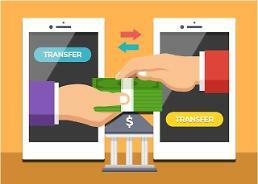 Two internet-only banks, K bank and Kakao Bank, have gained popularity by providing diversified loan services and easy lending to young smartphone users. In January this year, K bank, a consortium led by South Korea's top telecom company KT, decided to double its capital by issuing new shares.